Man wasn’t this satisfying. It has been quite some time since I have heard the Harry Potter theme playing on the big screen and it certainly didn’t disappoint. While still apart, but not adhering to the wave of nostalgia hitting movies lately, Fantastic Beasts and Where to Find Them takes the Harry Potter world in a completely new direction, changing the setting to the 1920’s America. While it may not take the top spot as best movie of the year, this one will certainly rank up there as one of the best movie going experiences of 2016. 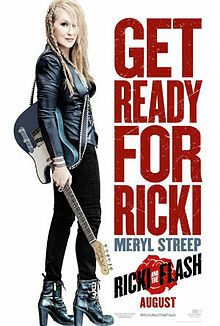 Meryl Streep as a past-her-prime 1970’s Rock’N’Roll singer? Oh I had to see this. It is interesting that, out of a year of so much polarization, it is sort of soothing to come up with a movie that was middle of the road. By no means was this the films ambition, the film certainly has ambition a plenty. Sadly though, sometimes things didn’t go quite as planned… That is just how it works sometimes and you have something that just comes across as a little odd, which is exactly what Ricki & The Flash is, a solid amount of ambition mixed in with an odd story, and even odder pacing.